Our Extensive range of replacement colour composite doors offer a huge range of choice when you are thinking about replacing your front or back door. Made to measure and built with long lasting performance in mind our composite doors offer the strength and security you are looking for. We also offer a range of composite fire doors too. Boasting a huge range of glass and bevel designs, this solid door will cater for any design requirement. All our composite doors come with superb hardware and the standard colours are gold, silver, chrome, gold and white. 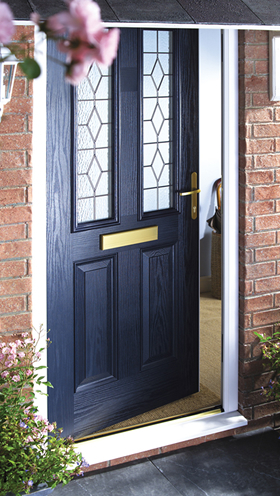 For a no obligation quote for a replacement composite door call our friendly team today.